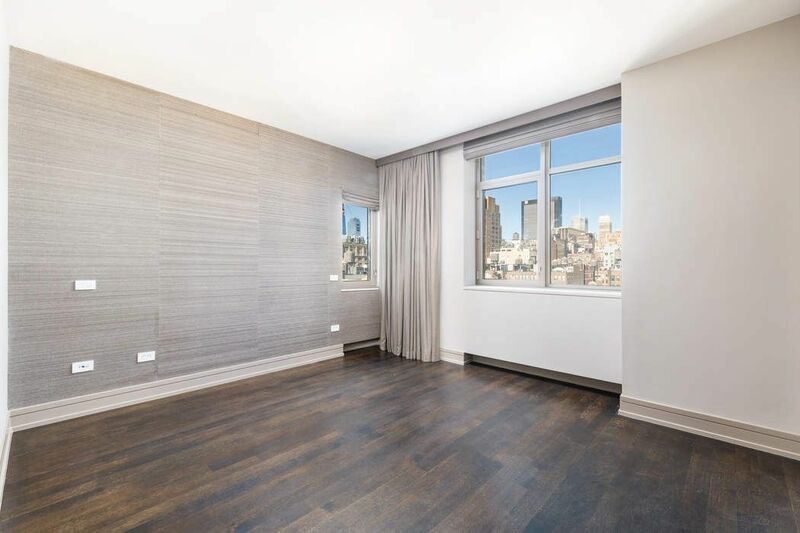 124 West 23rd Street PH, New York, NY 10011 | Sotheby's International Realty, Inc.
$17,995 Per Month2 Bedrooms2 Full / 1 Partial Baths2,025 sq. ft. Sweeping skyline views! 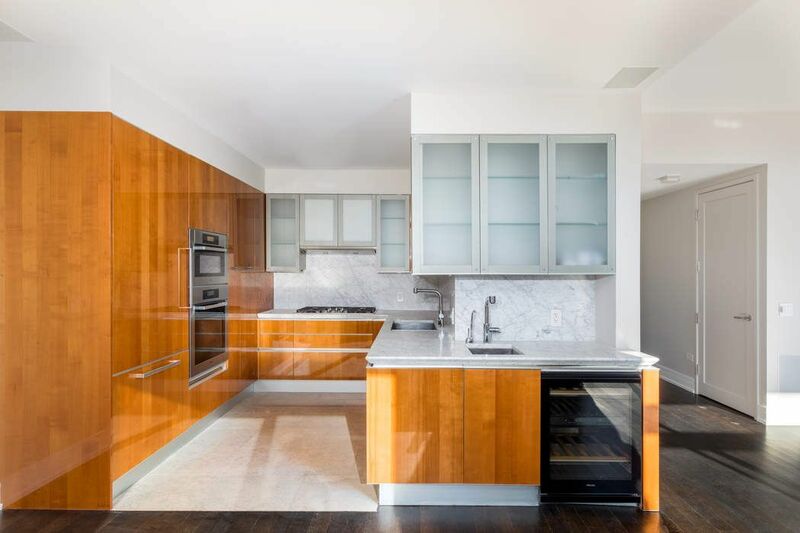 This spectacular Chelsea apartment offers 2,025 square feet, 2 bedrooms, 2 and a half baths, a large balcony, and impressive private roof top terrace, an entertainer’s delight! 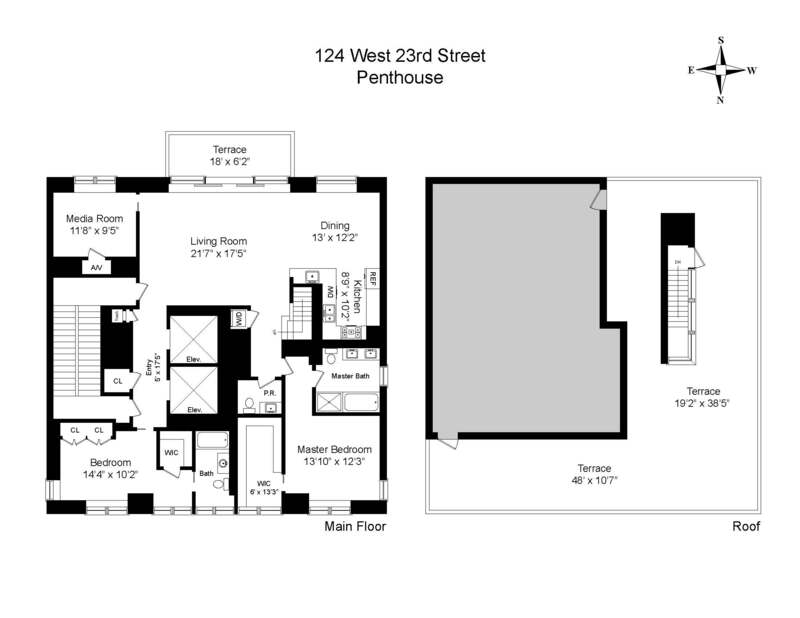 The stunning penthouse comprises the top two floors of 124 West 23rd Street. 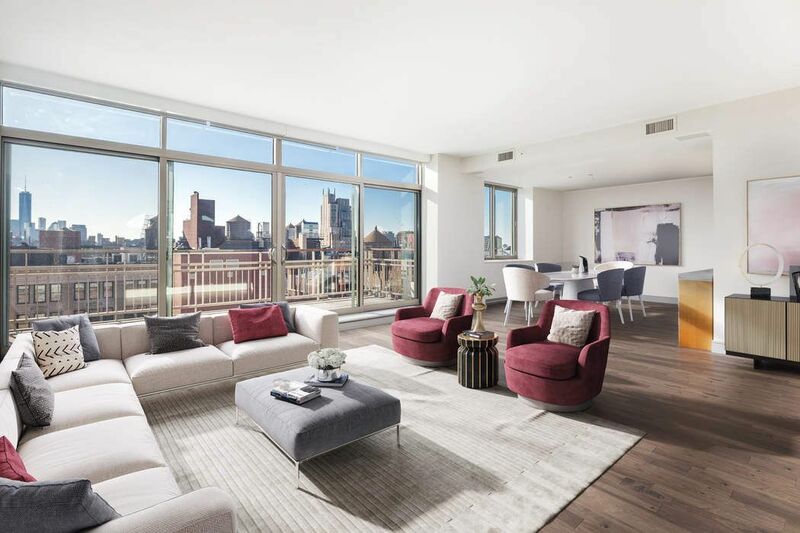 Entering the penthouse from one of two keyed elevators, you are greeted by a spacious gallery leading to the 35 foot great room lined with floor to ceiling windows, offering spectacular south facing views of Chelsea and the Freedom Tower. Attached to the great room is a brand new chef’s kitchen with adjacent dining area. On the opposite side of the great room is a comfortable den, or third bedroom, also offering open skyline views. 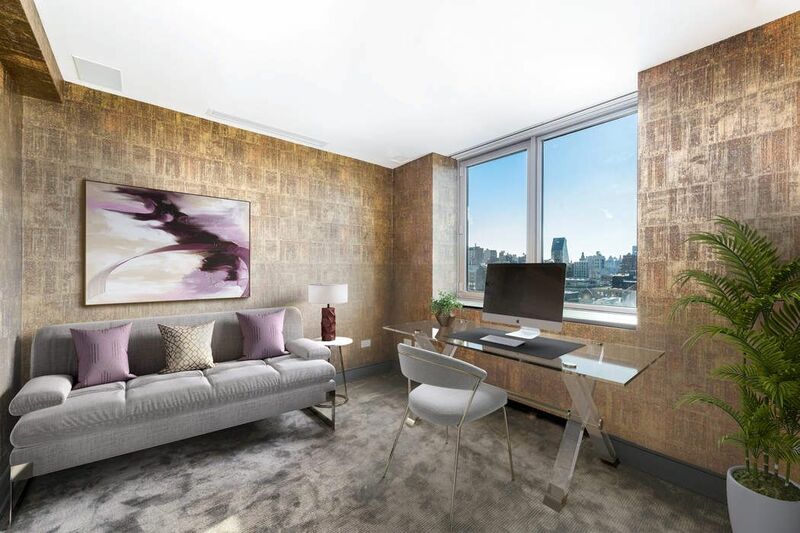 The bedrooms are located on the north side of the apartment with views spanning all the way to the Chrysler and Empire State buildings! The second bedroom has a generous closet and en-suite bathroom. The master suite offers a large walk in closet with custom built-ins, spacious master bath with a large soaking tub, separate shower, Jack and Jill sinks, and western facing views. The outdoor space is expansive with a large balcony off the great room spacious enough to fit a couch or a few lounge chairs and tables. Ascend the stair case behind the kitchen to reach the penthouse’s private roof top terrace. 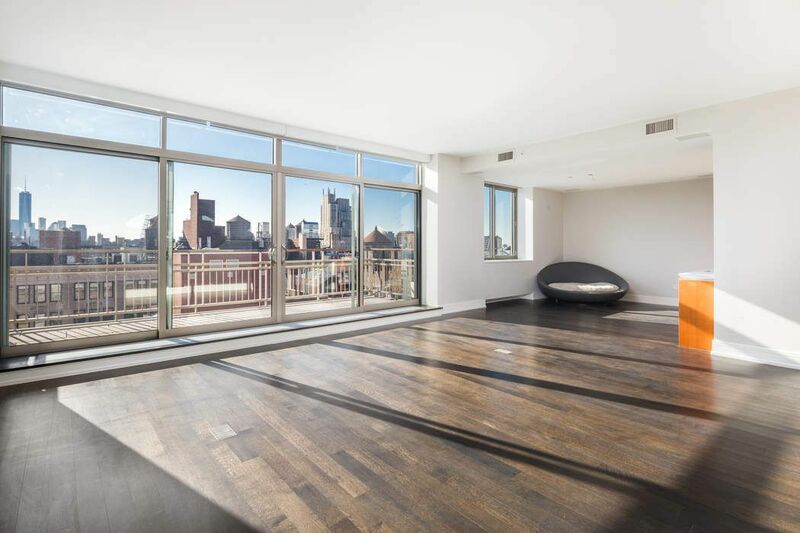 At 1,425 square feet, this wrap around terrace is large enough for multiple seating areas and offers 360 degree views of the Manhattan skyline. Sweeping skyline views! 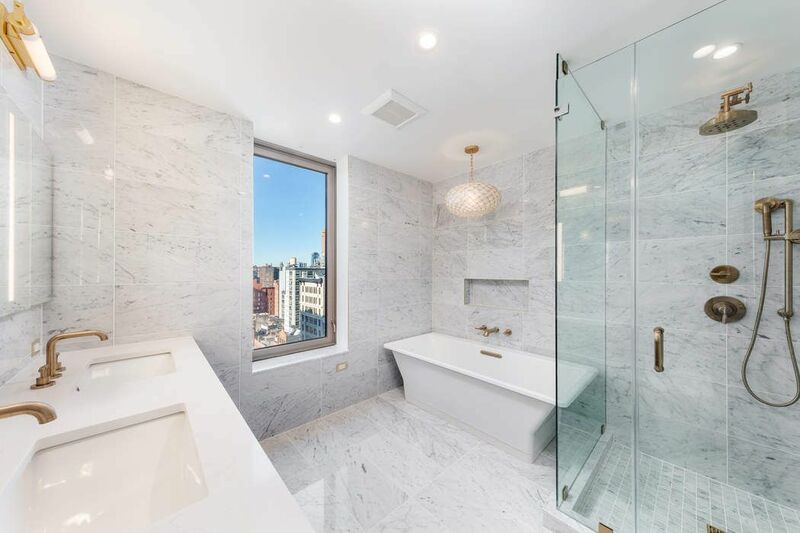 This spectacular Chelsea apartment offers 2,025 square feet, 2 bedrooms, 2 and a half baths, a large balcony, and impressive private roof top terrace, an entertainer’s delight!The stunning penthouse comprises the top two floors of 124 West 23rd Street. 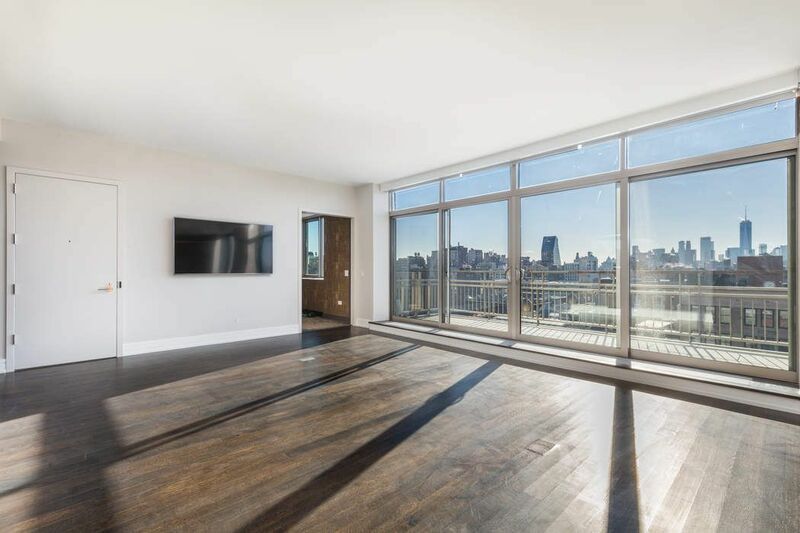 Entering the penthouse from one of two keyed elevators, you are greeted by a spacious gallery leading to the 35 foot great room lined with floor to ceiling windows, offering spectacular south facing views of Chelsea and the Freedom Tower. Attached to the great room is a brand new chef’s kitchen with adjacent dining area. 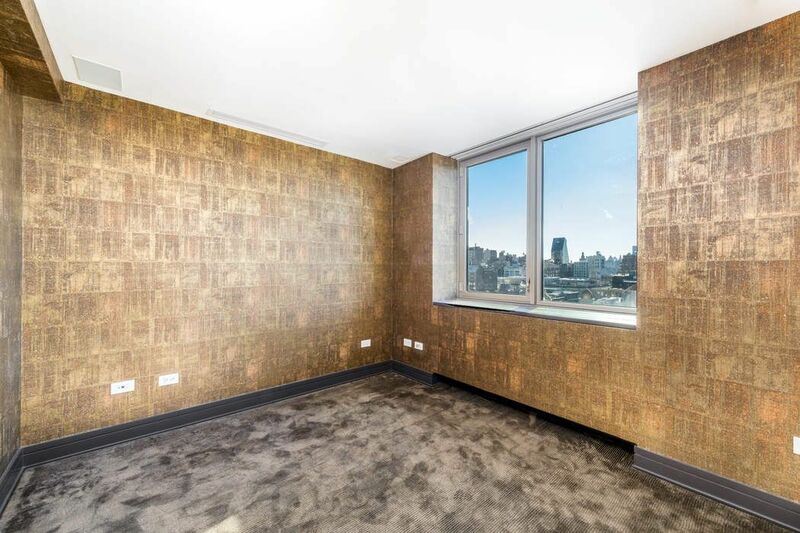 On the opposite side of the great room is a comfortable den, or third bedroom, also offering open skyline views.The bedrooms are located on the north side of the apartment with views spanning all the way to the Chrysler and Empire State buildings! 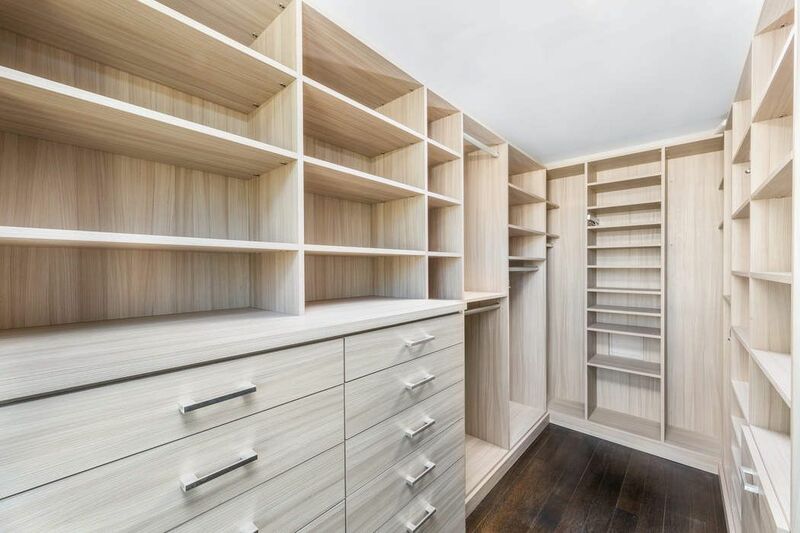 The second bedroom has a generous closet and en-suite bathroom. The master suite offers a large walk in closet with custom built-ins, spacious master bath with a large soaking tub, separate shower, Jack and Jill sinks, and western facing views.The outdoor space is expansive with a large balcony off the great room spacious enough to fit a couch or a few lounge chairs and tables. Ascend the stair case behind the kitchen to reach the penthouse’s private roof top terrace. 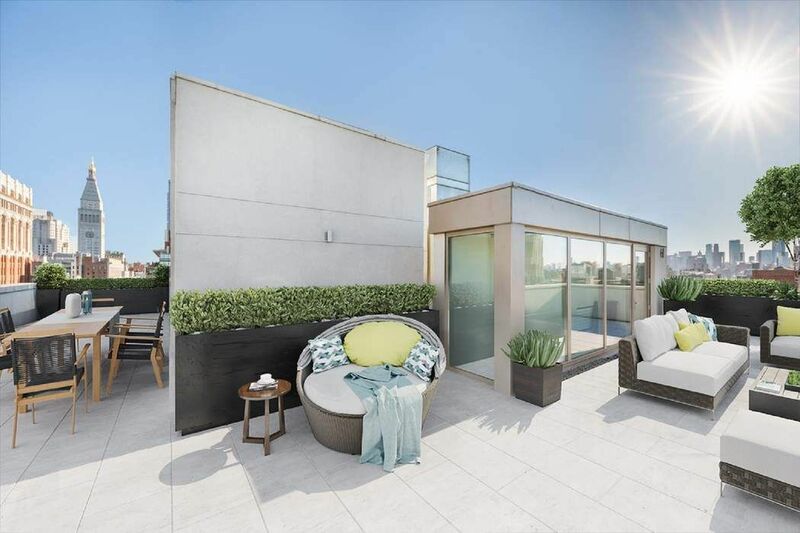 At 1,425 square feet, this wrap around terrace is large enough for multiple seating areas and offers 360 degree views of the Manhattan skyline.